2017/9 - Blog - Count On Tools, Inc.
Count On Tools Inc., a leading provider of precision components and SMT spare parts, is pleased to announce that with the recent expansion of its manufacturing facility, the company has purchased and installed two DMG NHX-4000 horizontal milling centers to further increase production capabilities and lower product lead times. The new equipment expands COT’s current capabilities into more complex parts that can be manufactured with significant costs savings to the end-user. 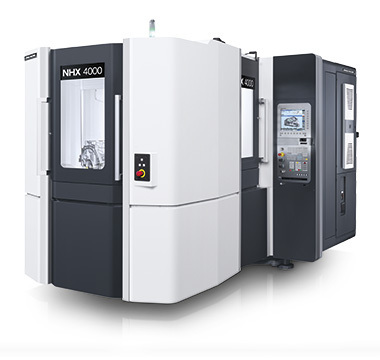 According to DMG, the NHX-4000 are general-purpose horizontal machining centers enabling high-efficiency, continuous machining and mass production machining in various areas, such as the automotive and other mechanical fields. The entire structure is optimized for increased performance in static and dynamic rigidity. As a result, the models achieve the highest level of speed and accuracy demanded of a horizontal machining center. Because extreme accuracy is mandatory, highly specialized precision equipment is necessary. The industries that COT serves count on accuracy of part specifications and on-time delivery of orders. The new DMG production cell will help Count On Tools achieve both. Additionally, the new machine handles jobs faster by providing increased production speeds and faster processing power. As a contract manufacturer and job shop, Count On Tools and its experienced, knowledgeable management team strives to provide a full line of services to its customers and to continue meeting customers' demands both now and in the future. 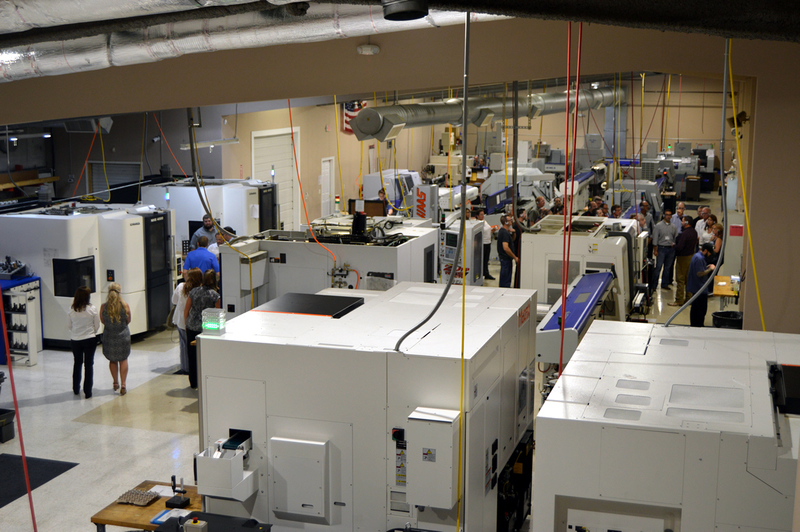 Count On Tools Inc., a leading provider of precision components and SMT spare parts, recently announced the completion of a six month, $2 million expansion at its Gainesville headquarters, which includes a 25 percent increase in manufacturing floor space. The recent expansion is in response to the growing market for SMT nozzles and consumables as well as the increased demand for its precision contract machining services. Count On Tools was founded in 1991 by Curt Couch, after working for several years as a mechanical engineer in the electronics manufacturing industry. The company has grown steadily over its 26 years of business, from occupying a 5,000 ft.2 suite in its current building since 1998. Mr. Couch expanded the company in 2005, moving to three suites at the opposite end of the building. The latest expansion includes an additional suite, increasing the overall manufacturing facility to 20,000 ft.2 with an additional 5,000 ft.2 for future development. Upgrades from the recent expansion include opening up an additional 5,000 ft.2 of production space, installing several new production cells with state-of-the-art machining centers, a new larger conference room, and more offices for a growing sales force. COT also installed energy efficient LED lighting throughout the factory and office space. As a contract manufacturer and job shop, COT and its experienced, knowledgeable management team strives to provide a full line of services to its customers and to continue meeting customers' demands both now and in the future. COT is proud to count themselves as one of the small, growing businesses contributing to the strength of manufacturing in the US. An official ribbon cutting for the new facility is being planned, but no definitive date has been set as of yet. 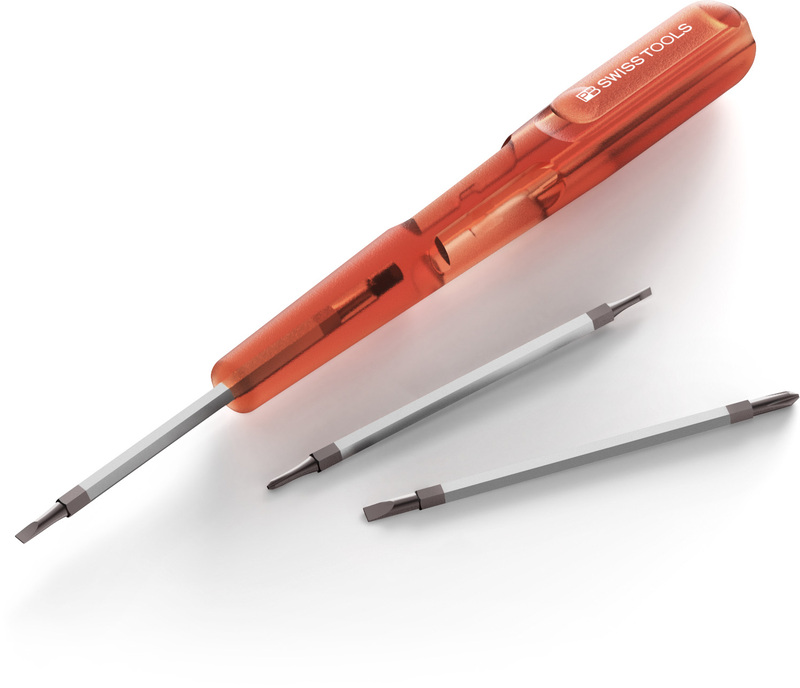 Count On Tools, Inc. (COT), a leading provider of precision components and SMT spare parts, is pleased to introduce the INSIDER MINI from PB Swiss Tools – the newest pocket tool that offers six screwdrivers in one. The sturdy handle with practical clip for clip-on contains three two-sided blades, each with two different screwdriver tips. The blades are securely held in the handle by a strong magnet. Always have the right tool at your fingertips for small screws. The tool with the look of a pen contains all of the necessary items for the precise application in precision mechanics and multimedia electronics. The new PB Swiss Tools’ INSIDER MINI saves space and weight while maintaining its precise, reliable and convenient form. Two versions are available, each featuring a selection of PB Tools’ smallest flat/slotted and Philips bits with the second version featuring a Pentalobe security bit specifically for working on Apple® products. Count On Tools Inc. (COT), a leading provider of precision components and SMT spare parts, is pleased to announce that it now offers a complete line of nozzles for the Panasonic AM100 machines. These nozzle designs enable highly accurate, repeatable, optimized chip placement. The AM Series equipment maintains the high standards for capability, flexibility and reliability that customers expect in a cost-effective, incrementally scalable, high-mix SMT solution. The expanded series of Panasonic replacement nozzles for the AM100’s placement heads offers a high productivity, low-cost alternative to OEM nozzles. Most standard nozzles are available in a variety of materials, such as durable ceramics. All AM100 nozzles also feature laser marked factory barcodes. All Panasonic AM100 nozzles from Count On Tools utilize the same style reflectors as the OEM with a special hard coating to provide waterproofing, prevent scratches, and increase tool life and overall durability. Count On Tools also provides custom engineered nozzle designs from the OEM as well as special nozzle designs for odd-form components (LEDs, connectors, pins, clips, grippers, etc.) based on customer and application specific requirements. There is no limit to our capabilities when it comes to automating your custom component processes; we make the nozzle to fit your application. All of Count On Tools’ SMT nozzles and consumables are guaranteed to function properly with the original equipment. Every product manufactured by Count On Tools comes standard with a 100 percent satisfaction guarantee. If any customer is not completely satisfied with the performance or quality of a product, Count On Tools will replace it or offer a full refund. Count On Tools, Inc. (COT), a leading provider of precision components and SMT spare parts, is pleased to announce that PB Swiss Toolsrecently added two new models to their popular INSIDER product line: The INSIDER STUBBY and INSIDER STUBBY RATCHET. The PB Swiss Tools’ INSIDER STUBBY is the little pocket tool for rapid screwdriving. The PB Swiss Tools’ INSIDER STUBBY comes standard with six common PrecisionBits for universal application (flat/slotted, Philips, and Torx®). It is ideal for locations that are difficult to access, while offering high hand torques without effort and its design remains compact and space-saving. The new INSIDER STUBBY RATCHET with integrated ratchet function on the short SwissGrip handle makes it possible to carry out screwdriving in difficult to reach places and, at the same time, it can be used for rapid turning. Because it can be used with one hand and is reversible, this little pocket tool will never fail you. Both versions feature the SwissGrip handle, which is made of Santoprene®, making it possible to generate a large amount of torque, even with wet hands. 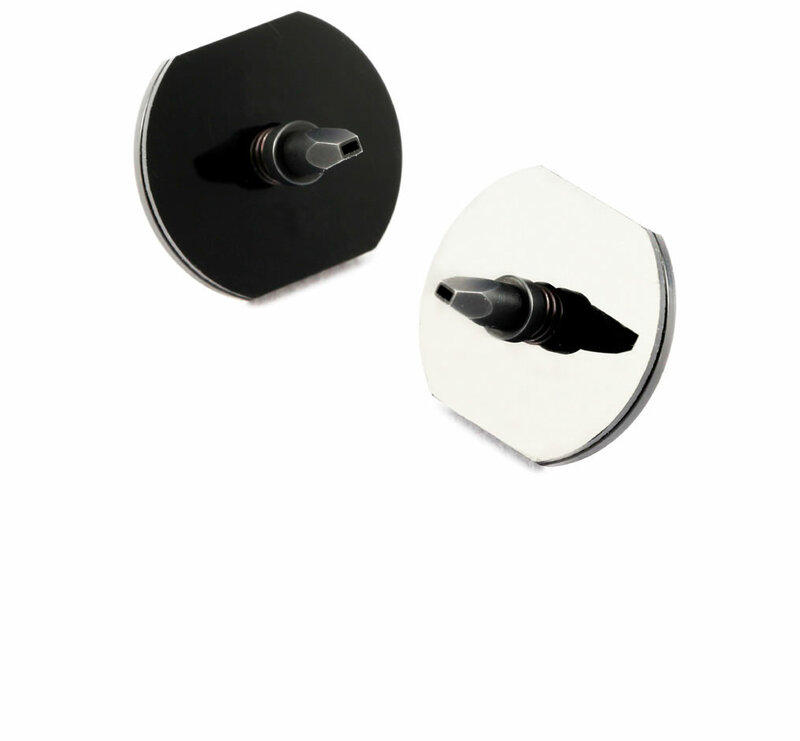 The compact, short SwissGrip handle is ideal for screw fastening at difficult to access locations. The STUBBY with bit holder offers even more than its predecessor – a ¼" PrecisionBit magazine extendable from within the handle so it remains safely connected with the handle when it is opened. Count On Tools, Inc. (COT), a leading provider of precision components and SMT spare parts, is pleased to announce that PB Swiss Toolsnow offers knurled hex keys as a standard option in their product catalog. The knurling at the shaft increases the non-slip property in wet or oily environments, thereby increasing the safety. The round shaft, manufactured from PB Tools’ unique steel alloy guarantees higher reverse fatigue strength. The new knurled hex keys from PB Swiss Tools is available in sizes 1.5mm –10mm as individual hex key l-wrenches or as a set in a handy plastic holder. Each hex key is labeled with the serial number for additional security and to enable tracing the production back to the raw material. PB hex keys also feature a perfect-shaped ball-point end, allowing any user to turn the screws with an angle of up to 30°. PB Swiss is the only manufacturer to offer such a large angle for ball-point hex keys, making them the most versatile for the user and very unique.